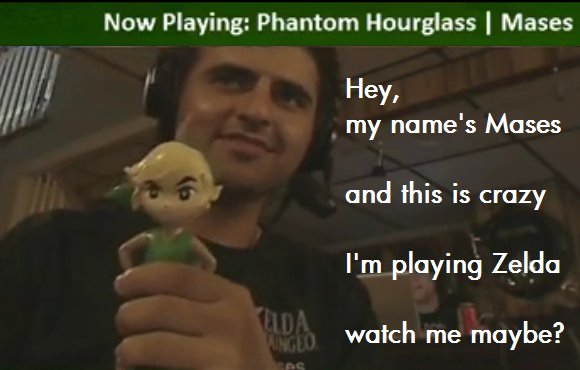 The first day of the Zelda Marathon has passed and our host, Mases, has already created a new meme based off of the song “Call Me Maybe” by Carly Rae Jepsen. 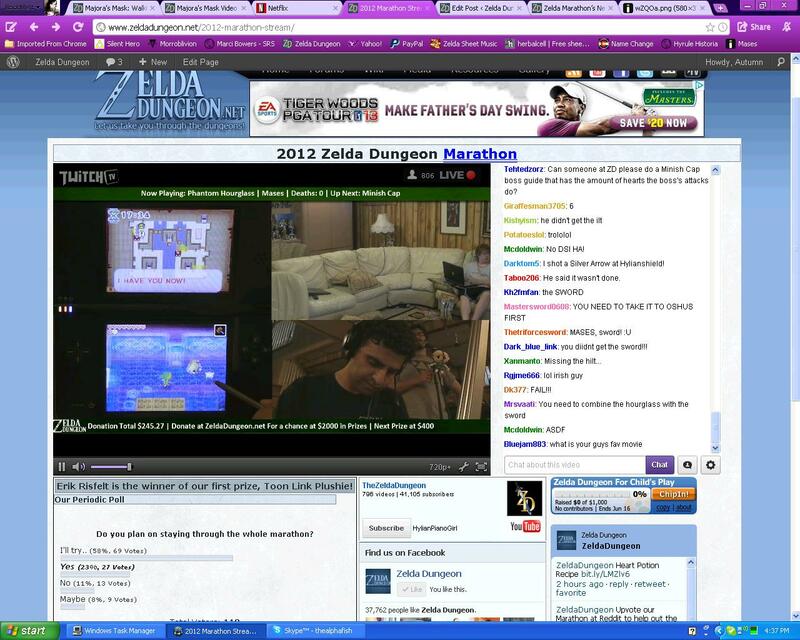 Every time Mases beat a boss in Phantom Hourglass, the first game of the marathon, he showcased his Link bobble-head and someone happened to snap a picture off that, adding the words that Mases had sung to his little cover of the song. Congratulations team on a great first day and a great new meme. Take the jump below to check it out! I’ve got to admit, I have sung silly things like that while playing Zelda games on my own. What did you guys think of the first day of the marathon? Leave your comments below!